Readers of our blog and wiki will have noted various references to the labour mutual SMart. We find this an important movement and mutualistic solution for the autonomous workers that are becoming more and more numerous, but also ever more precarious, in our western societies. SMart membership converts income into wages, and thus into access to social protection, while also guaranteeing the payment of the invoices through a mutual guarantee fund, along with a number of other mutualized support services. Between the figure of the lone competitive entrepreneur who takes all the risks without social protections, and represents the fastest pauperized population sector in the western economy (autopreneurs in France, ZZP in Netherlands), but also as an alternative to work subordination in the classic salariat, we believe SMart represents a very fruitful third way towards collective and cooperative enterprise. Hence we believe that SMart is potentially the new form of solidarity and social power for the form that work is taking in the 21st century, while also being animated with a vision of social change. In short, I believe labour mutuals are the form of self-organization appropriate for 21st workers, which not only fights for just distribution, but also for a more just and sustainable society, in which the commons orientation plays a vital role. The leadership of SMart agrees with this vision. SMart welcomes Michel Bauwens, joining us for a research and development residency for the next 3 years. 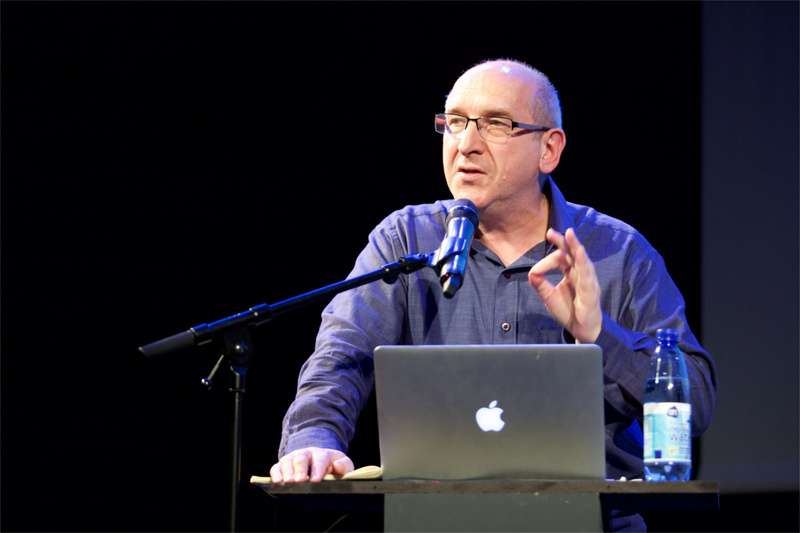 Collaborative economy theorist, co-author of Network Society and Future Scenarios for a Collaborative Economy and founder of the P2P Foundation, Michel Bauwens works in collaboration with an international group of researchers on the application of peer-to-peer in governance, production and ownership. This concept stems from the tech world and describes peer-to-peer relationships in networks, where all those with access to computers are equal. Michel Bauwens was one of the first to apply this principle to other aspects of society, considering it as a social structure. For him, P2P is principally concerned with the capacity of people to create common value as equals, and without authorization (permissionless). For Michel Bauwens, the society of the commons, emerging from P2P dynamics, can offer a response to the ecological and social crises we are faced with today. SMart is based on a digital platform that makes the right to economic initiative accessible to as many people as possible through a large-scale open cooperative. A new narrative is being created that should be better known at the international level. SMart aims to reorganize and accelerate its international development. Michel Bauwens will guide this process. Another of his missions will be assisting SMart in strengthening its connections with the world of platform cooperatives. Finally, Michel Bauwens will stimulate the implementation of the ideas of the Commons in our cooperative.